There's a chill in the air but you'll be warm from September to May in Columbia's Eager Air™ Interchange 3-in-1 Jacket. 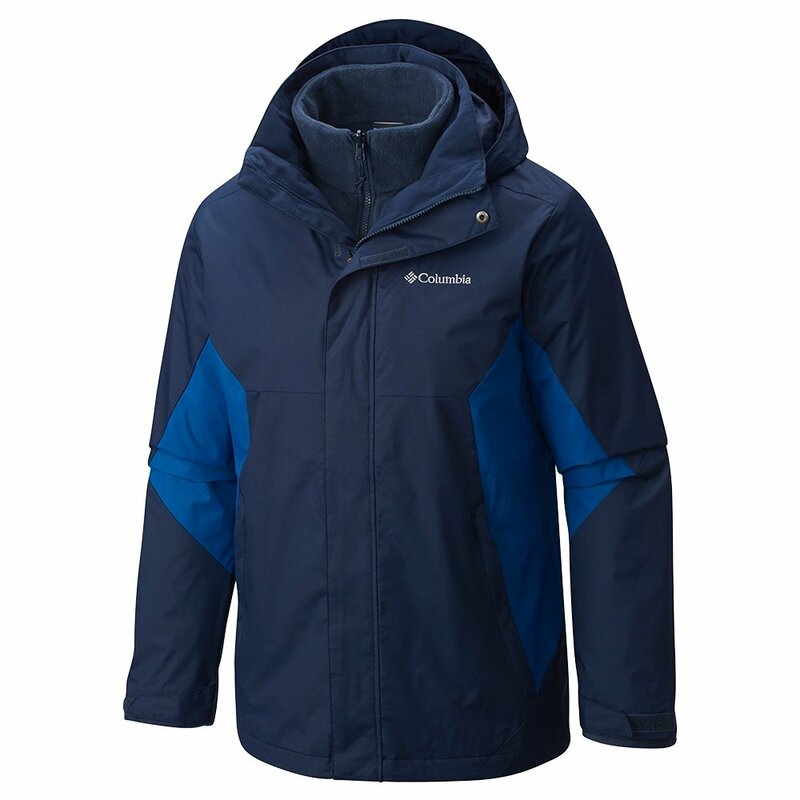 This coat features a removable fleece liner you can wear on its own and a waterproof shell designed for rain or snow. Combine them and you're ready for a brutal winter's day. This winter, spend less time figuring out what to wear and more time making turns in the Eager Air™ Jacket. "Wondering if these jackets run true to size? My son is 19 yrs old, 5'7" and about 135 lbs. Should I order a small or medium?" "This jacket runs true to size. We would recommend using the size chart to get the best fit recommendation. " After about 15 years of use, the zipper on my Columbia Homme G Interchange parka gave out. I bought this one as a replacement in the same men's large size. The Eager Air parka is advertised as relaxed fit. It isn't at all; the shell is cut way too tight in the arms and across the shoulders, to the point of being a pain to get on and off. Still plenty of room in the torso just in case I wanted to grow a 24 pack a week beer gut though. The liner sleeves are constantly trying to invert out of the shell sleeves when taking the parka off.